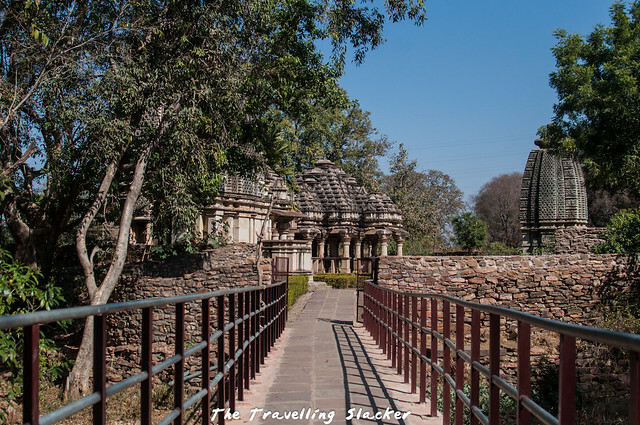 I got a glimpse of the typical iron grills over concrete walls that protect ASI sites as the bus nonchalantly drove past the Badoli temples (Also spelled Baroli Temples). I knew I was at the right place. However I could not communicate my intentions in time and the bus moved on and finally stopped inside the town of Rawatbhata. Most of you may not have heard of this place but it is surely an important site due to the nuclear plant located nearby and also due to some major dams in the region. I was coming from Kota and wanted to reach Bhainsrorgarh and have a glimpse of the Chambal at its pristine best. 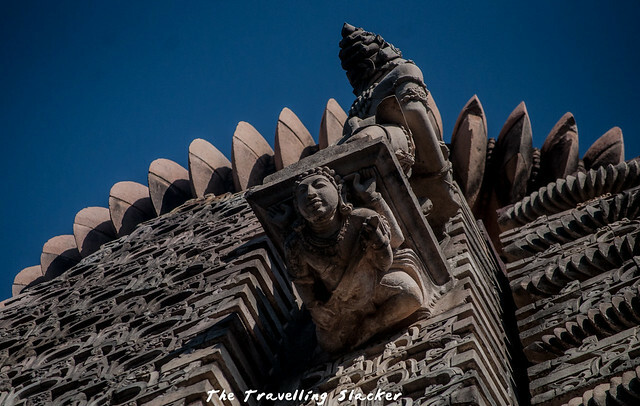 However, the temples were on the way and although I was not sure how great they will be, I wanted to pay a visit as Rajasthan never disappoints archaeologically. Anyways, I left the bus and started walking back. Although it was January, the sun was shining brightly. I’d heard of people shivering in cold in Delhi and so I derived perverse pleasure from avoiding the same. It is not a very big town and so within half an hour I was back in front of the ASI grills again. As expected, it was one of those protected but not so celebrated monuments that often end up surprising the visitors. The good thing about such monuments is that there is not even a system of collecting entry fee. Although secluded and barely known, the complex seemed to be well maintained, complete with trees offering respite from the sun. At least it has not been subjected to desperate encroachment like the ones in Delhi. However, at a slight distance there was a “live” shrine, apparently of Hanuman. 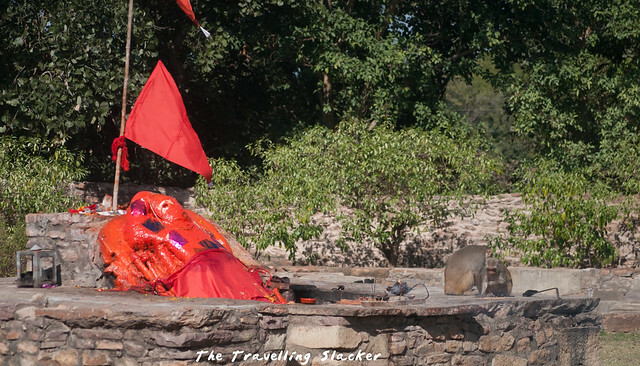 It was bright red due to the vermilion applied on it by devotees. 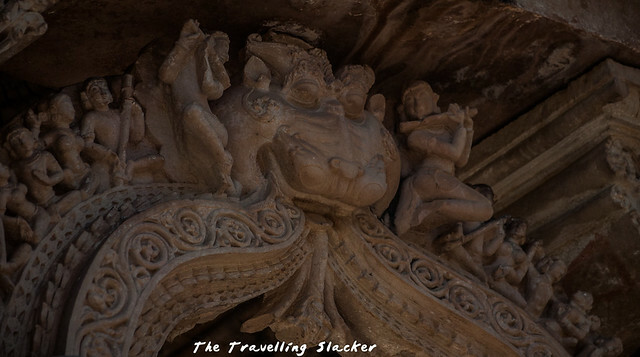 I’d found a similar thing at Bateshwar Temple at Morena a few months ago. 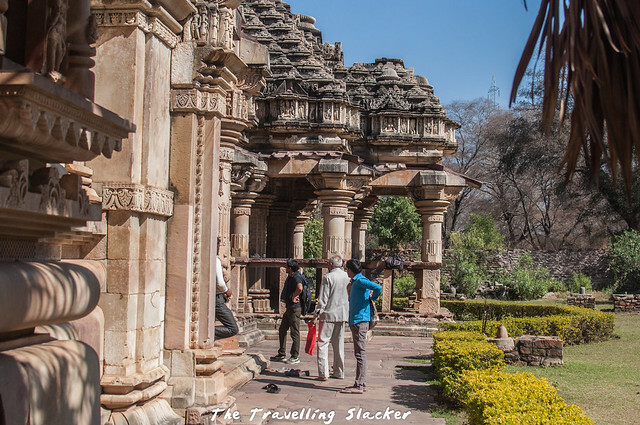 That it was a Gurjara Pratihara Temple became evident soon as I noticed many characteristic elements I’d seen earlier in other temples of this era in the likes of Vidisha and aforementioned Morena. However, strangely enough, exact details about the this temple and its builders are not known. 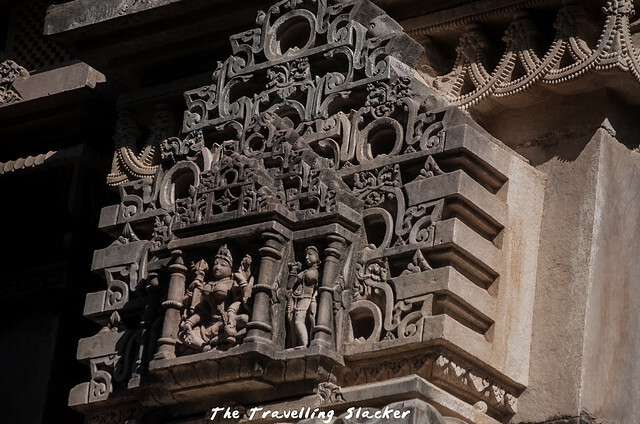 It is surprising because it is a fairly prominent and elaborate set of temples that must have been built with royal patronage. The information board explains that they date back to the 10th century. There are eight different temples in this complex as per the details available online and another one at a slight distance (I could not find the last). 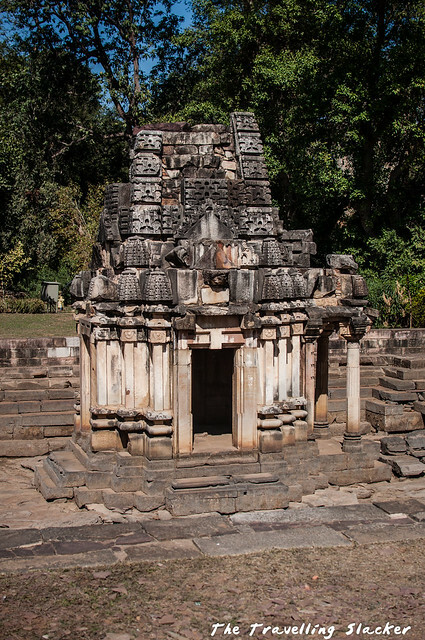 However, most of them are small structures and built around the primary structure, the Ghateshwar Mahadev Temple, a Shiva temple as the name suggests and a Sringar Chauri or Rangamandapa, a pillared hall in front of it (probably used for ceremonial dance). I saw a small, somewhat peculiar looking and partially destroyed structure at first, followed by a small temple in the middle of a small tank, although the tank is now devoid of water. After that there is a small iron bridge connecting to the bigger structures. The fact that this complex is dominated by Shiva becomes evident due to a large Nandi Bull just in front of the temple. 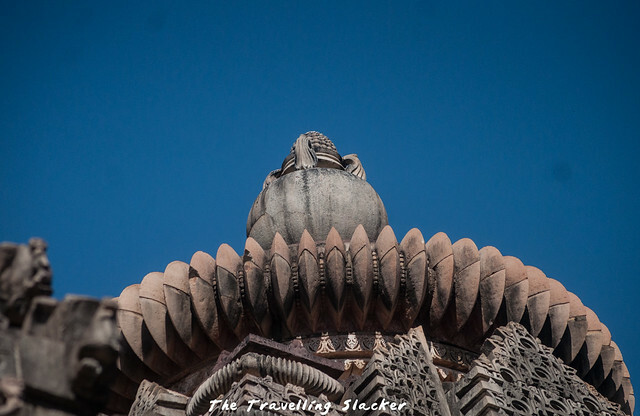 The name Ghateshwar Mahadev comes from the ghata (pot) installed at the shikara (pinnacle), nested on a lotus. Wiki says that it is there because one of its the phalic manifestations of Shiva (linga) looks so when inverted. I could not exactly imagine the same. 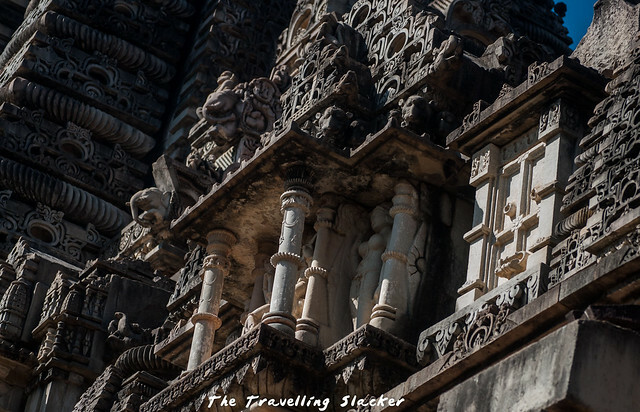 As mentioned earlier, the temples are replete with various usual motifs one sees in the medieval temples of mainland India. 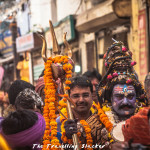 I did not exactly know what they are called so I asked the people at Delhi Heritage Photography Club and figured them out to be the Keertimukhas, the scary looking but auspicious motif. 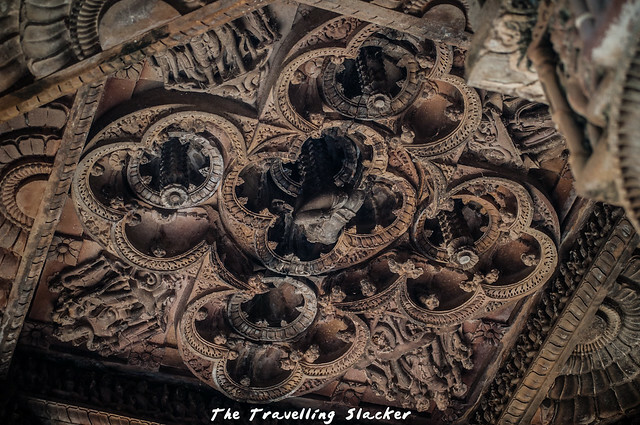 The other interesting motif was that of the Bharbahakas, literally the load carriers that are generally sculpted at the top of the pillars as a symbolic career of the ceilings. However, I noticed a different use here as one of them was constructed on the outer wall on the backside of the temple, almost near the top. 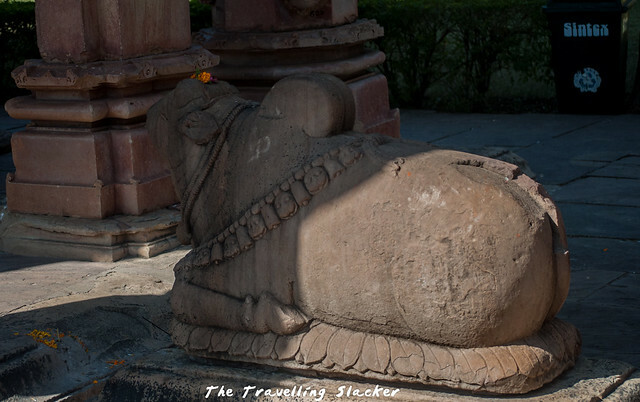 It was staring down at the visitors and from what I could see from the ground, there was a reclining Shiva resting on its back. I am not fully sure about this part. I needed a drone with a camera. 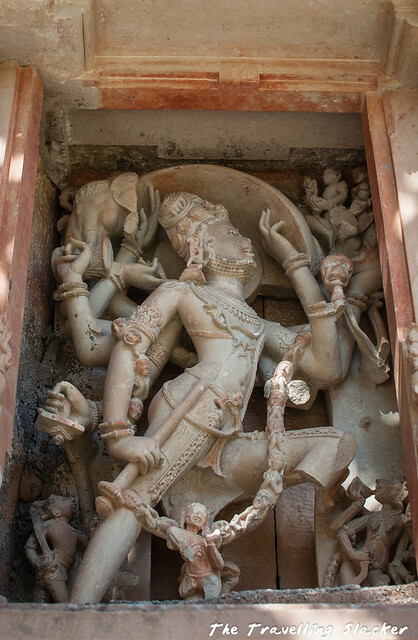 Other sculptures mostly include various aspects of Shiva. Particularly noticeable was the Gajasurasamhara, with a slightly different style than usual. There are different versions of this story that you can find with a bit of googling. 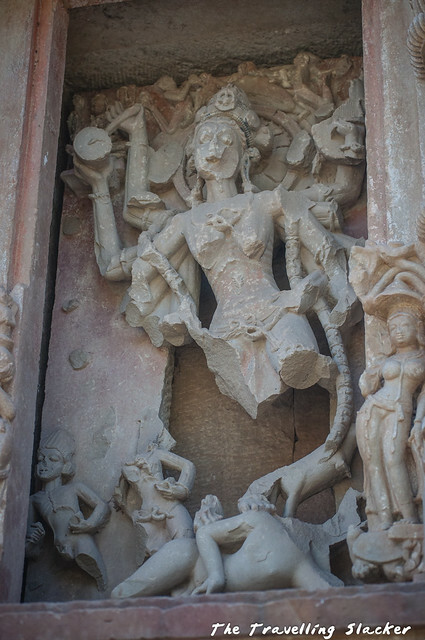 There were many more sculptures, especially those voluptuous female figurines typical of Indian art. 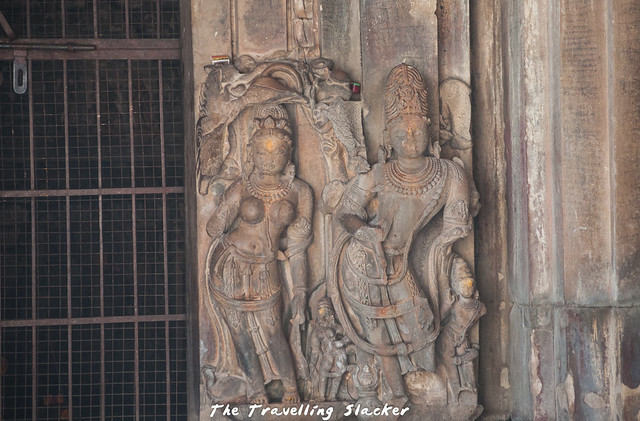 On the lower levels there are many dwarpala statues. Some of them apparently represent Yamuna but I am not so sure about it. 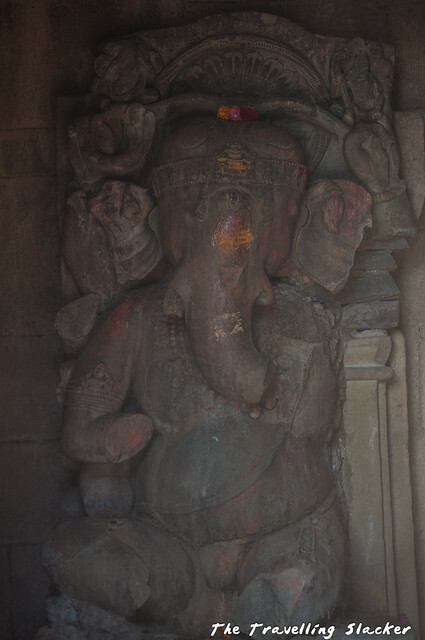 Also noteworthy was a Chamunda statue, a small but separate Ganesha temple, and even the ceilings of the hall were intricately crafted. 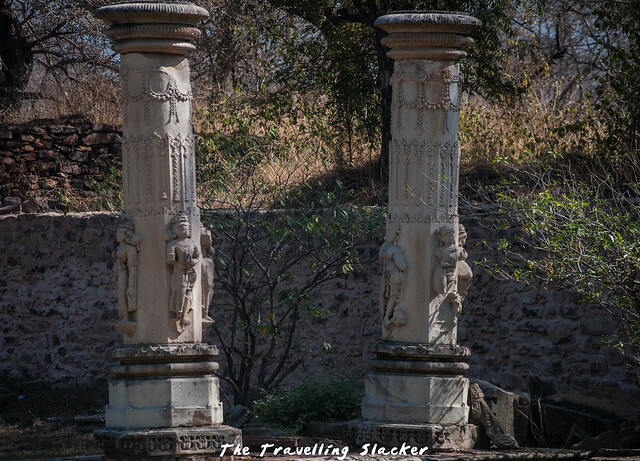 There were also a few disjoint pillars and pieces of sculpture lying around. Probably they could not be fitted to any of the existing structures. Overall, it is not a very massive complex but it has been sculpted with such detail that one feels an urge to photograph every square inch of these walls. I spent a couple of hours there and moved on for my next destination but the image of that Bharbahaka looking down at me from the top will remain imprinted on my mind for sometime. 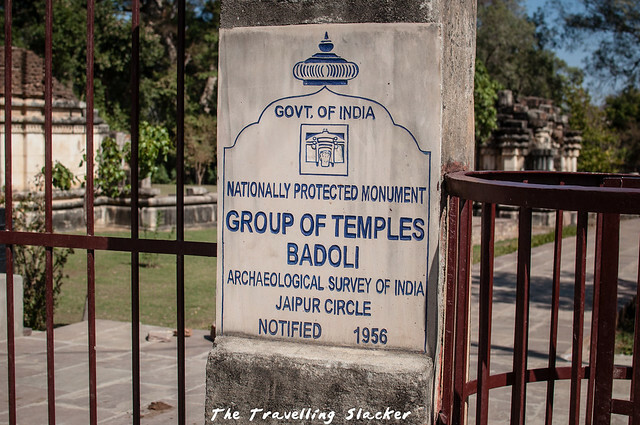 Where are the Badoli Group of Temples Located? 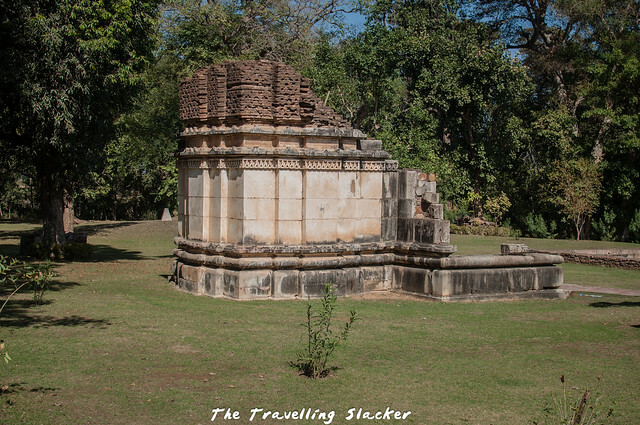 Badoli Group of Monuments are located just on the outskirts of Rawatbhata, a small but strategic town around 50 kms south of Kota. 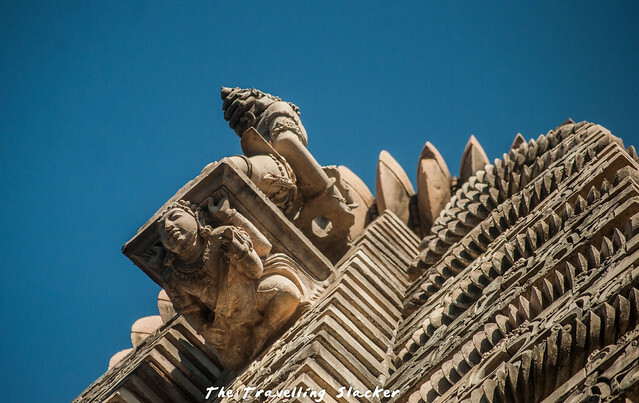 How to reach Baroli Temples? Kota is a big city well connected with the rest of the world. You will also find numerous budget hotels neat Kota railway station. You will get regular buses to and from Kota. 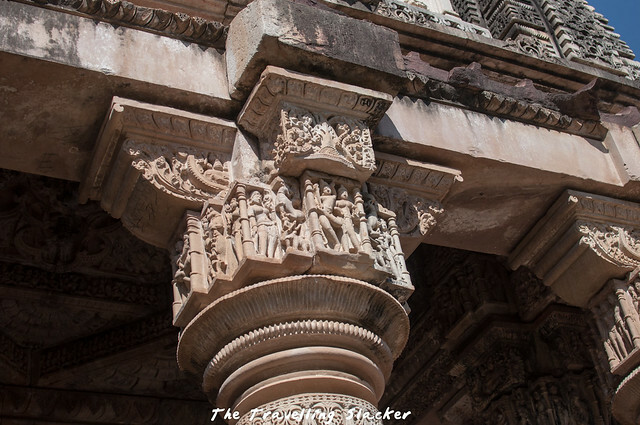 It is also connected on the other side with Chittogarh. Are their hotels in Rawatbhata? Yes, I did see a few. Kota will give you more options but if you do want less crowd then you can consider this option. 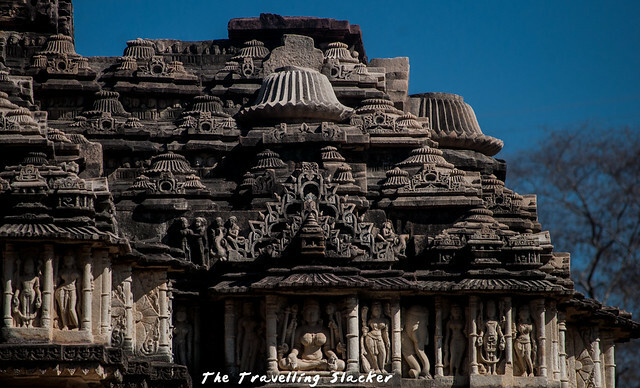 What is there in Baroli temples? 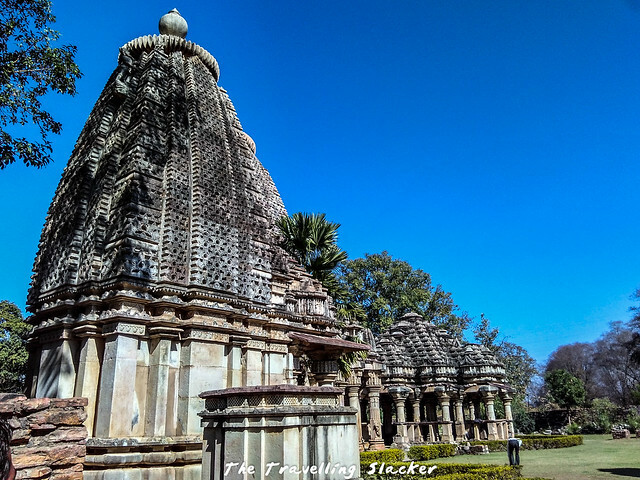 These are a group of Gurjara Pratihara era temples built around 10th century. 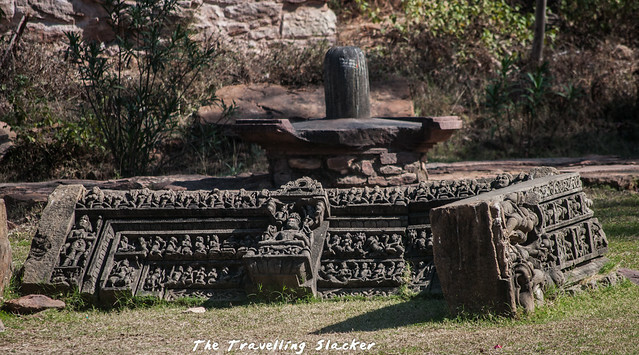 If archaeology and history interests you then it should be an excellent detour from Kota. 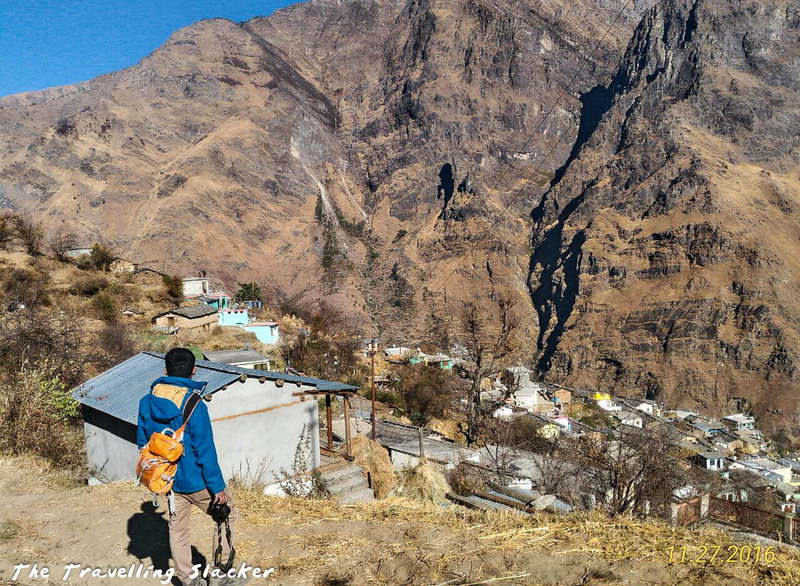 What are the expenses for visiting Badoli temples? The is no entry fee at Badoli. What is the best time to visit this region? 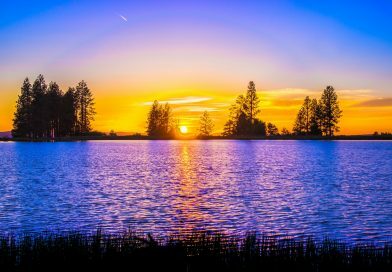 The heat will not be very pleasant here so try to make it in the winter months, i.e December to February. Impressive architecture. Glad to know about these temples. Amazing temple , Wonderful pics. Majestic place, Jita. The carvings are out of this world. Every thing is beautifully crafted.